Let’s chat about Home Decor Design Tips and take a look at these beautiful spaces that I’m sharing today. Our houses should be more than the walls and roof that we sleep under. Home is the place where we share the most important moments with our family, where we gather with friends and loved ones, where we can truly be ourselves. Great Home Decor Design is not just based on the furniture or accessories we use but in the way we add our personal touch to our own home. Today I want to share with you 10 Home Decor Designer Tips inspired by these gorgeous spaces and DIY Home Projects! Use empty jars and a wooden box to display herbs and plants! 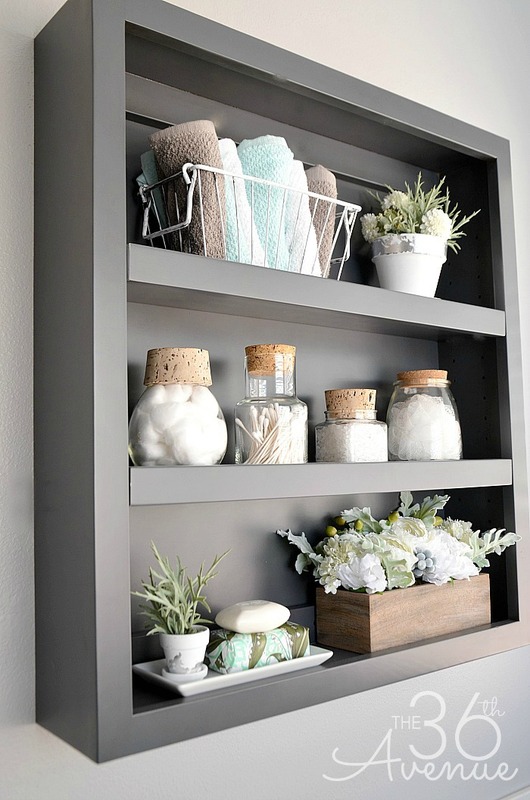 Switch the cabinet drawers for baskets to warm up any room! 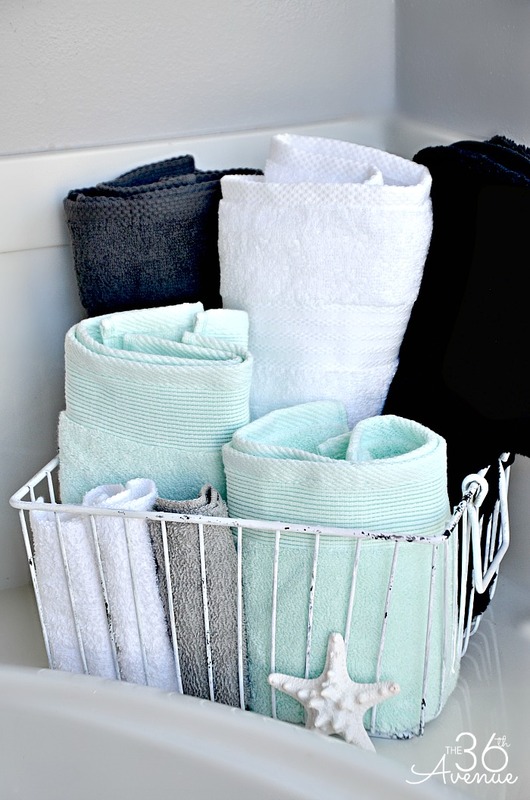 Metal Baskets are also a great way to store small items! 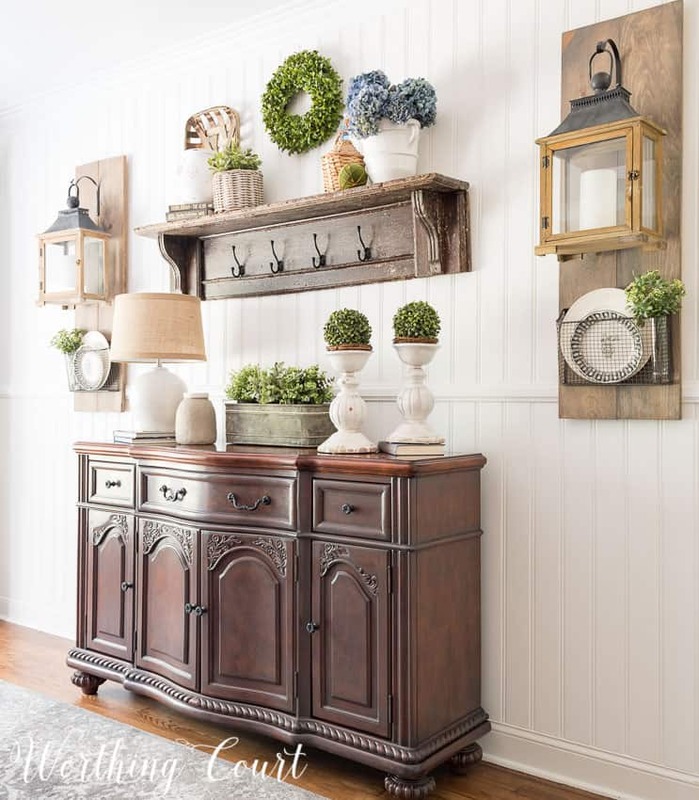 Add greenery to your space! 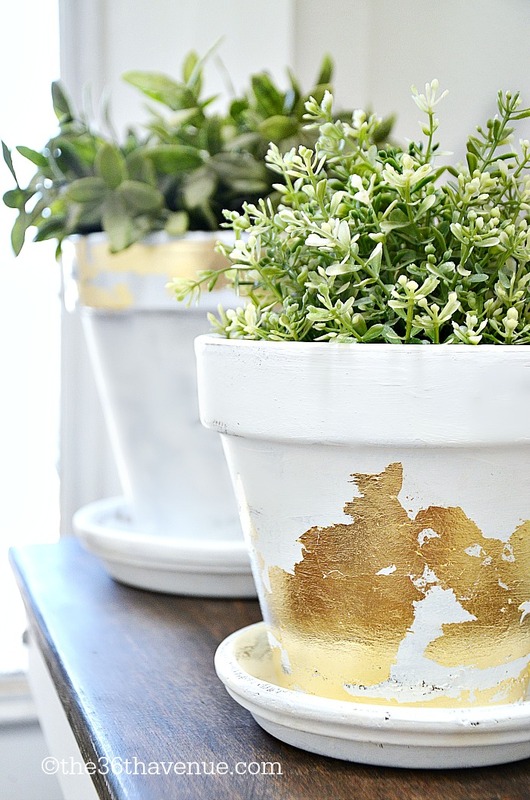 Terracotta Pots are super affordable and they are very easy to customize to your like! I personally love seeing my kiddos faces in our family room. 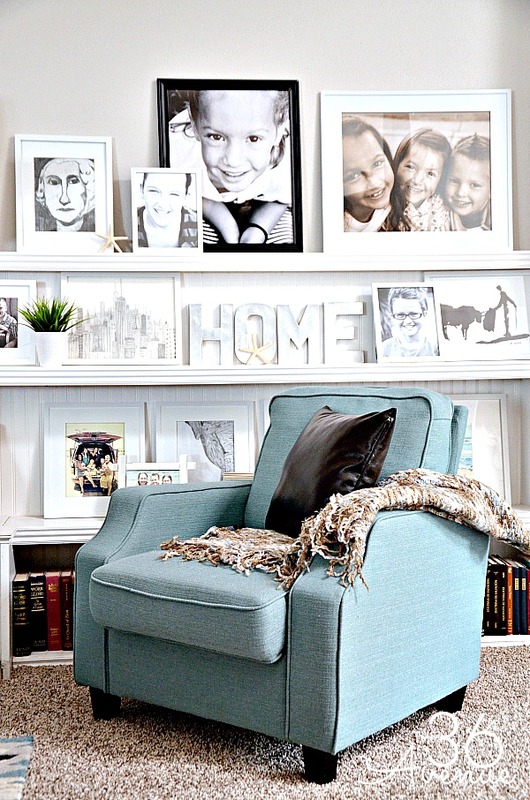 Family pictures are a great way to make your home more personal! Check out how Suzy is displaying some of her favorite dishes in these open shelves! So, show off your dishes! 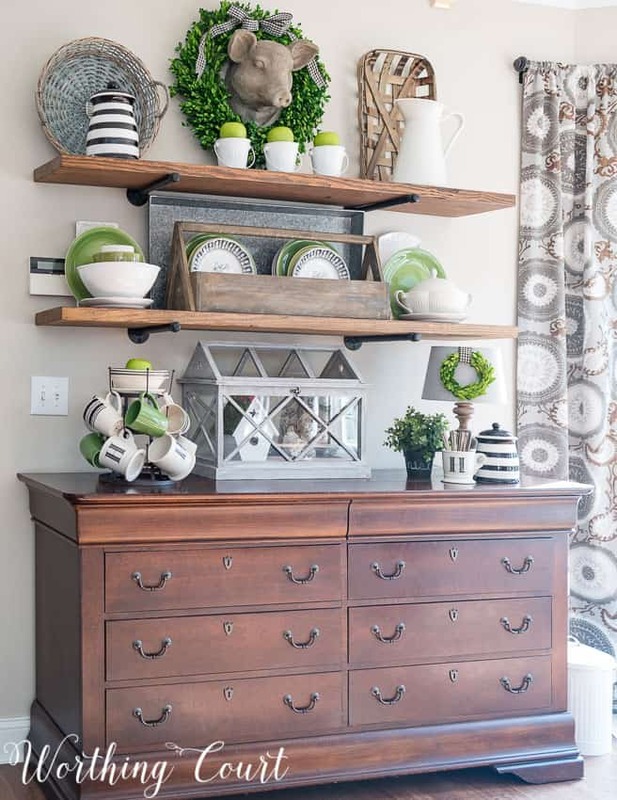 Decorating with items you actually use save space and look great! 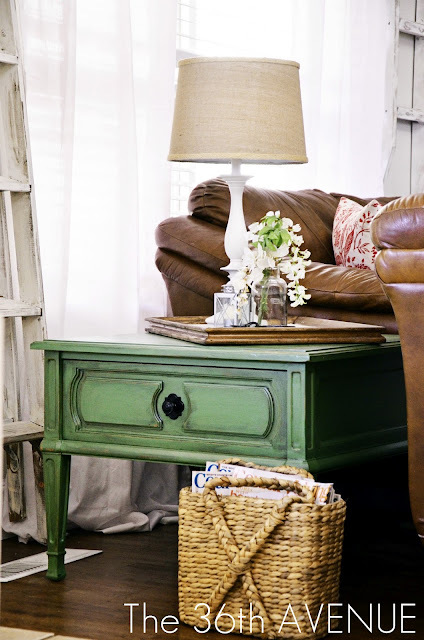 A little paint can make a huge impact on the overall look of a room! I’m obsessed with green! You have to see the before and after pictures! 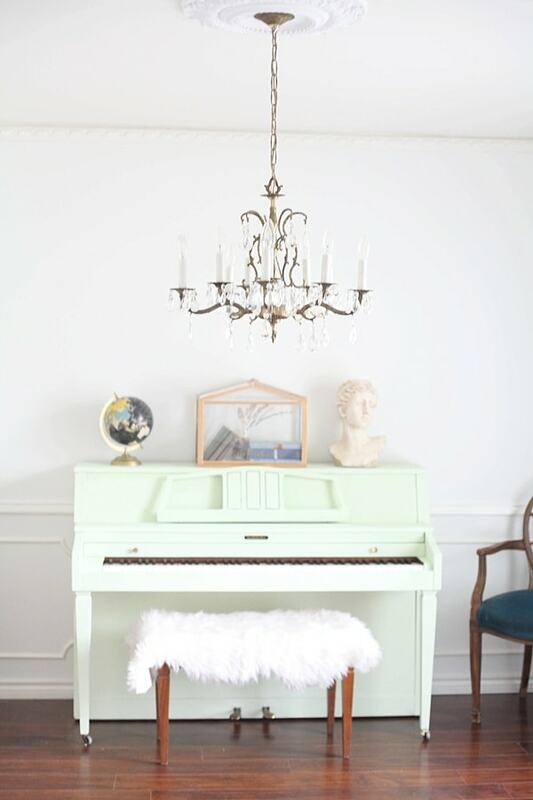 I love how Tania transforms her piano with a little bit of paint… This color is gorgeous! Such a clever and cute way to bring the outdoors to the indoors. Oversize Chandeliers are a great way to create a focal point in any room. This dining room area by Starfish Cottage is a perfect example! Add Texture to Your Walls! Beadboard is such a fast way to add character and texture to your back splash and kitchen island! 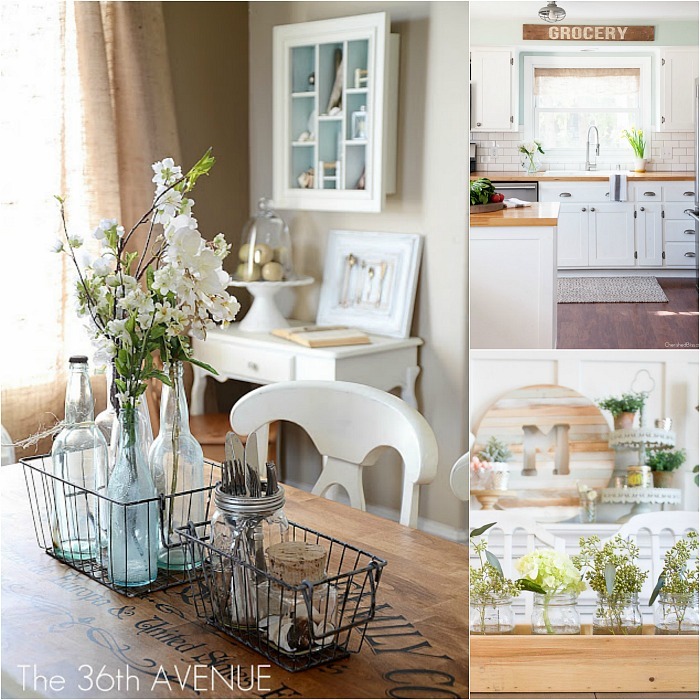 Here are some other beautiful Home Decor that I love! Wow. Tons of awesome ideas. Can farmhouse be mixed with coastal? I’m not sure what my style is, so I hesitate to try anything. 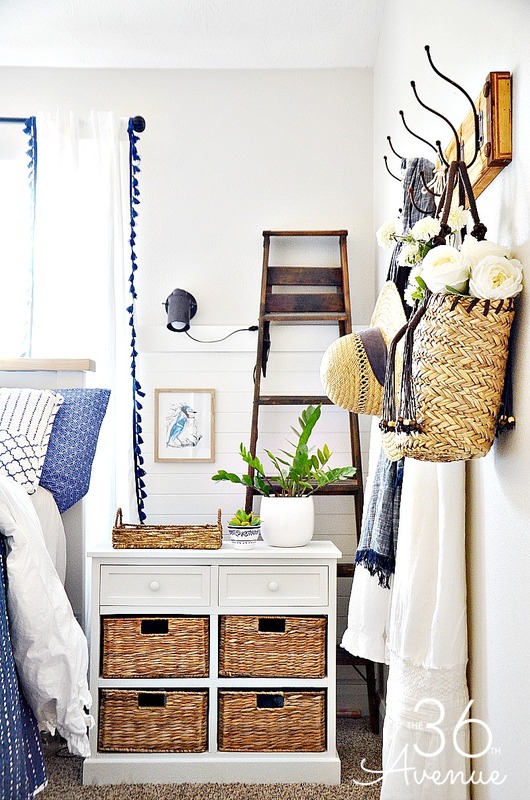 My bedroom has both styles… A little bit of coastal and a little bit of farmhouse. Id you do whatever you love you can’t go wrong! Ok. Thanks. I will try. Hi Desiree. 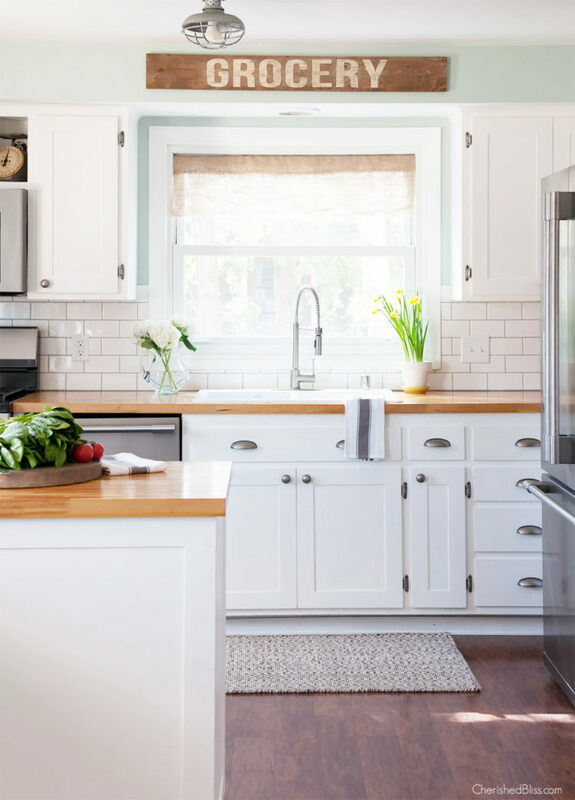 Thank you so, so much for including my kitchen shelves and faux shiplap wall in your roundup today! I got some great ideas and found some new blogs to follow. Happy weekend! Your home is so beautiful! Thank you for stopping by Suzy!